Whether you’re just starting out or already a more established business, giving freebies will help boost brand awareness. You can use this technique to introduce your brand to new consumers and to promote a new product or service, especially to your current customers. You can participate in industry events and hand out free samples of your products to consumers. 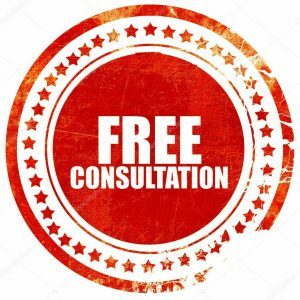 You can also offer a free product or service (consultation, analysis, etc.) as a simple token of appreciation to your customers after taking a specific action, such as providing their email address. It would greatly help, though, if you ensure that you’re targeting the right market to achieve better results. If you give freebies to people who are really interested to try your product or service, there is a bigger chance that they will purchase eventually. That means more sales and profits for you. “The best things in life are free,” and consumers couldn’t agree more. Your customers will absolutely be happy if you can give them a free product or service, but still of high-quality. This can also be a good technique for resolving issues. Aside from providing exceptional customer service, you can offer some freebies to make it up to a disappointed customer or to say ‘thank you’ to a satisfied customer. This shows that you value them, and consequently, will help improve your relationship with them. By giving away freebies, you don’t only boost your presence and make your customers happy. You are also able to build your reputation as an expert in the industry. These free product or service samples will make your brand look good. To further strengthen this effort, you can connect with influencers and let them try your product or service for free. They have already established their reputation in the industry and they can help you make your own mark, as well by promoting your business to their thousands of followers. Once the market is more aware of your brand, your customers are happy with what you provide, and you’ve made your mark in the industry, you will highly-likely increase your customer base, sales, and profits. You will be closer to achieving growth and having a successful business. Reserve a slot now! To get more information about the online conference meeting, email [email protected] or visit actions4growth-virtualgroup.eventbrite.com. You will receive joining instructions once you have registered. Our virtual assistants can help boost your customer base and sales. Subscribe this August and you’ll get 5 hours FREE in your first month! Contact us and start your subscription now to avail this freebie.